New halogen-containing condensation monomers are synthesized via high-temperature polycondensation, on the basis of which, and with the use of 4,4'-dichlorodiphenyl sulfone, new polyethersulfones containing dichloroethylene groups in the main chain are obtained. The characteristic features are studied, and the optimum conditions for the synthesis of new monomers and polyethersulfones are determined. 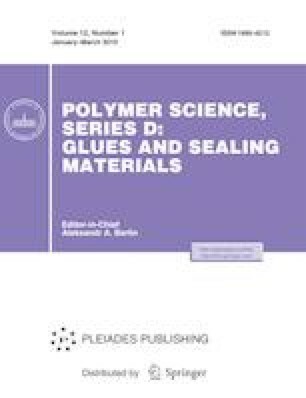 It is shown using state-of-the-art study methods that the new polyethersulfones are superior to industrial polysulfones with respect to their main physicochemical and operational properties. The synthesized polyethersulfones which contain dichloroethylene groups in the main chain are capable of forming cross-linked structures during thermal treatment. Here, the heat, thermal, and hydrolytic resistances of the polymers substantially increase. This work was supported by the Ministry of Education and Science of the Russian Federation, grant agreement no. 14.577.21.0241 of September 26, 2017, unique identifier of applied research (project) RFMEFI57717X0241.